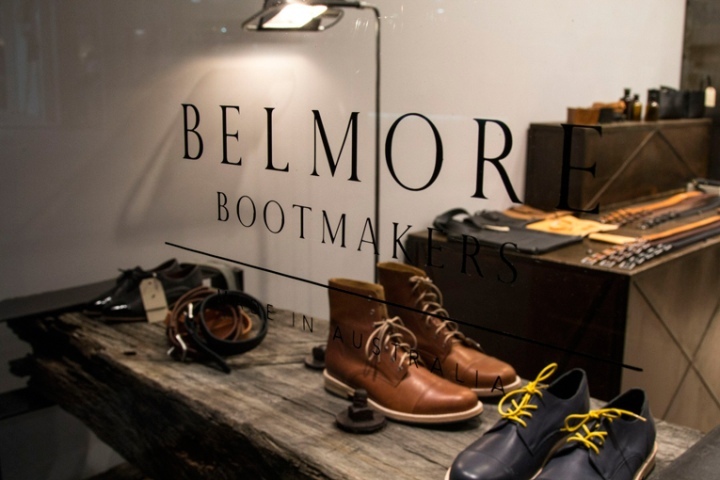 After last year’s opening in Melbourne’s Southwarf area, Belmore Bootmakers has now opened up shop at QV Village, a popular downtown shopping destination. 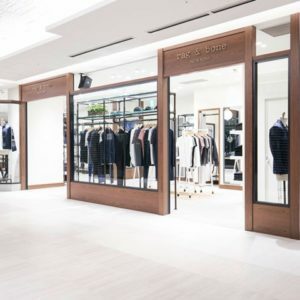 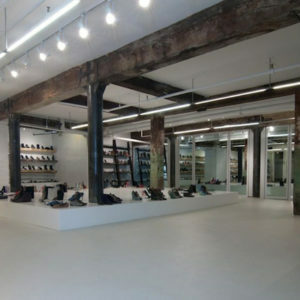 The store features an interior design by Lee Brennan that is based on an anti-carpentry approach and which meticulously follows traditional artisanal techniques. 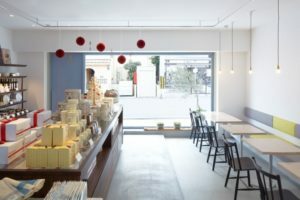 The chosen decor is slightly industrial with a warm, rugged edge, incorporating honest materials such as steel, salvaged bridge timber and sisal. 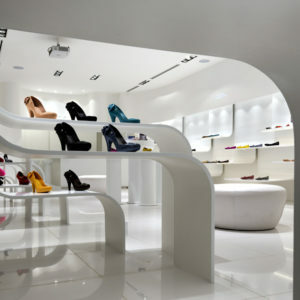 Kangaroo leather has been blended into the mix for comfort and flexibility. 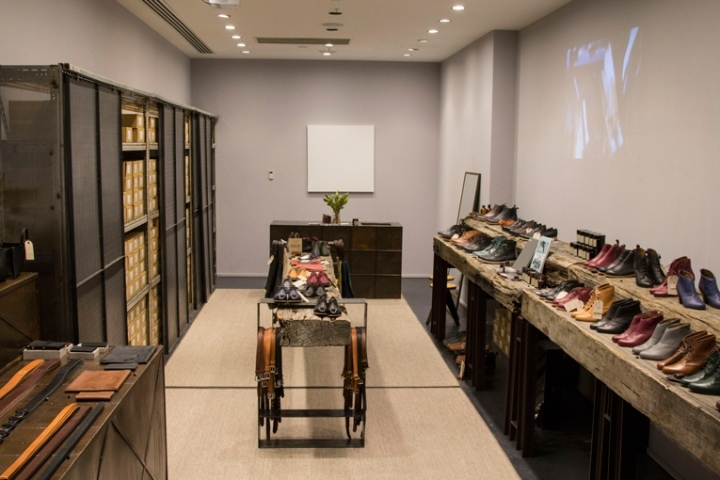 The setting is as such that it effortlessly matches Belmore Bootmakers’ contemporary styles of men’s and women’s footwear. 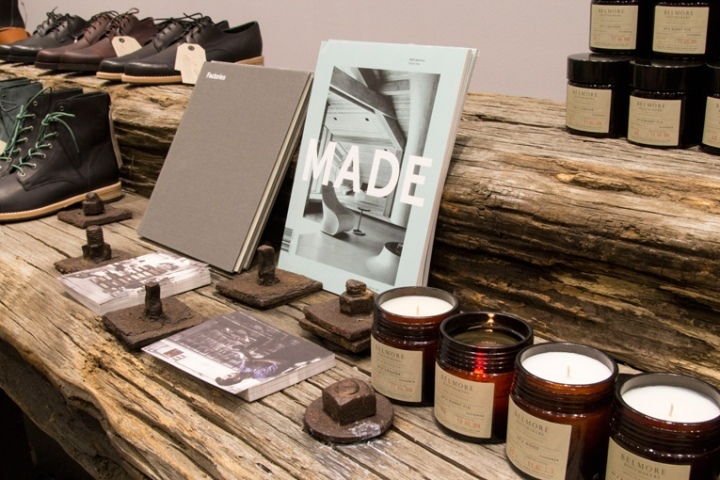 Next to shoes, the new shop carries the brand’s full range of accessories, bags and scented candles collections.